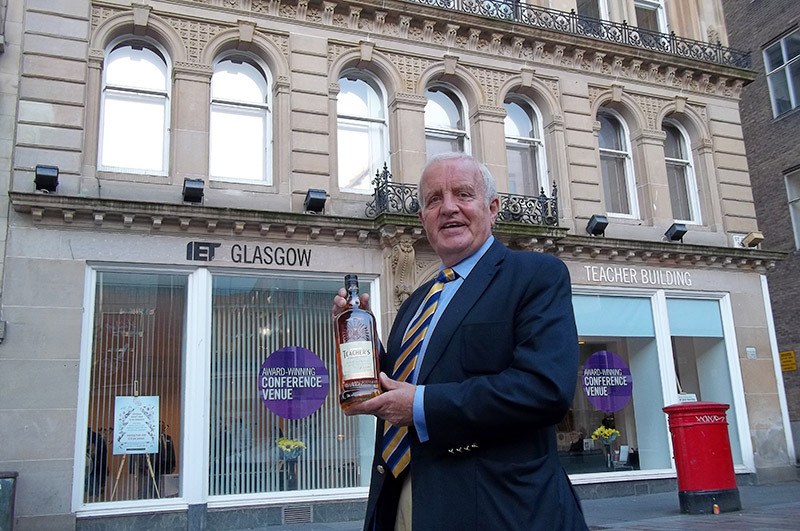 Dram good show……John pictured outside the Teacher’s building holding, appropriately, a bottle of Teacher’s whisky. 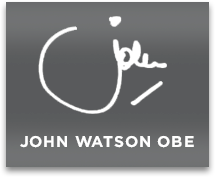 JOHN WATSON OBE was the keynote speaker at the renowned Scottish Family Business Conference 2016 in Glasgow this week. Addressing the delegates, John spoke of the challenges and successes that come with running a family business reflecting on his time with John Watson and Company Ltd as its Chairman and Chief Executive. John’s address – described as “highly engaging” – discussed the foundations of his family business and outlined his initial achievements. He also mentioned the purchase and installation of a cutting-edge printing press in the Glasgow print plant which was so heavy it required £100,000 floor reinforcements. “We couldn’t afford that, so we rolled our sleeves up and did it ourselves,” John said. The anecdote served to highlight the sacrifices family businesses must make to survive. The Watson printing dynasty remains a specialist printer mainly for the whisky industry and is now enjoying continued success under its new owners Multi Color Corporation of Ohio which bought the business three years ago leading to John’s retirement. *The venue for this inspiring event was the iconic Teacher’s building in Glasgow’s St Enoch Square. 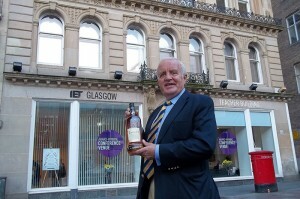 Now a conference centre, it was home to the legendary whisky producers for many years. John first visited the building over 40 years ago and his former company has continued to print its labels ever since. It was very much a happy homecoming to return once more.